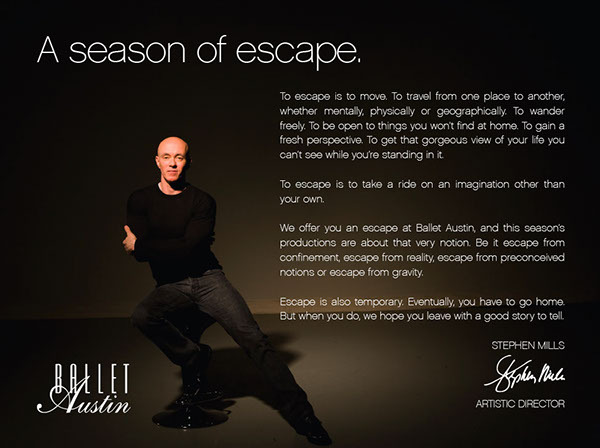 One of my favorite compliments was when Ballet Austin Artistic Director and choreographer Stephen Mills put his hand on my shoulder and said, "People write these letters for me all the time. You're the first person who's written something that actually sounds like me." Swoon.